It's not about cameras, it's about making pictures. And you can't make a picture if the camera is too heavy or too cumbersome to bring along with you. 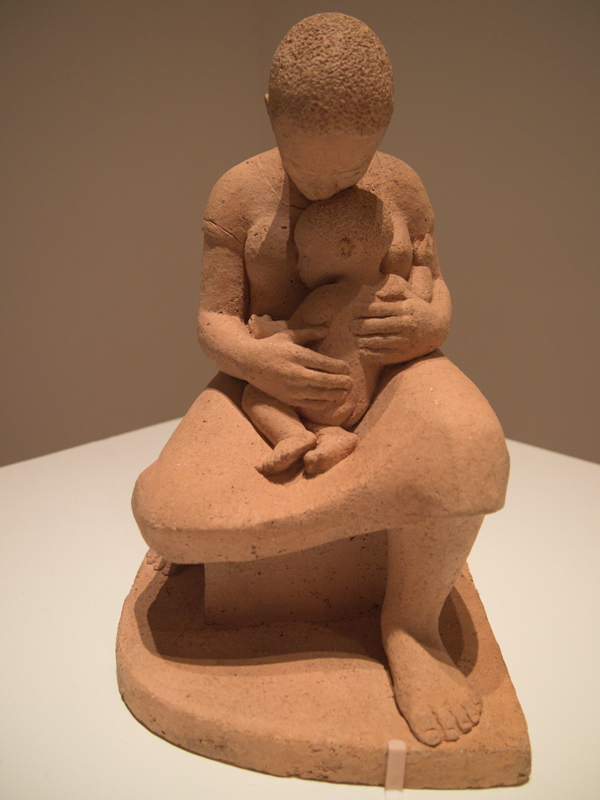 On a recent visit to NYC's MOMA, I took pictures of objects and paintings that I wanted to know better. With PEN in shoulder bag, I took pictures in one of the world's great museums--something I would never have done with a heavier camera because that camera would have remained at home. For most of photography’s history, there have been two types of cameras: snapshot cameras and serious creative tools. The digital revolution has obscured the boundary line with an immense number of features and over 500 different digital camera models, but three fundamentals remain. First, you need a good lens to take a good picture. Second, you need a camera whose construction won’t let you down. Third, you need the best possible surface to record the image. For me, there’s a fourth. I need a camera that isn’t too large or too heavy for me to carry almost everywhere I go. And for you, there may be a fifth. How good are the camera’s video capabilities? In this article, and several to follow, I’ll look at each of the fundamentals and, hopefully, encourage you to buy the best possible camera for your unique personal needs. Much of the information in these articles will focus on a system designed by Olympus cameras, but I will cover other systems, too. Whether a lens is bought as part of the camera (common on point-and-shoot cameras), or removable (as on DSLR cameras), your first decision is whether that lens ought to be a zoom lens. Certainly, a zoom lens is convenient and versatile. Often, a zoom lens is inexpensive. And, more often, you simply have no choice because the camera and the lens are permanently attached to one another. Given the choice of a lens with a wide opening–designed to shoot in low light–or an accessory flash that adds bulk, requires batteries, and smoothly illuminates only a limited area–I’ll choose the lens every time. And, I’ll make it a prime lens, not a zoom. Why? Three reasons. First, I must think about the image, my position, the framing, the composition, and the appropriate tool to create the image. Second, the maximum aperture is likely to be larger. Third, the image quality is likely to be better: sharper, clearer, with better color rendition and far less distortion. So let’s have a look at some Olympus PEN lenses. There are eleven in the current product line, with several more coming this spring, and there is full compatibility with a dozen more in the Panasonic catalog, all related to a new-ish photographic standard called Micro Four Thirds that will be explained later in these posts. Remember: the kit lens is 14-42mm 1:3.5-5.6 lens, and if you bought it outside of the kit, it would cost $299. Instead, I would buy one wide angle and one telephoto lens. The subject was 164 meters away from me. The image was shot with a short telephoto lens (see below), the Olympus 45mm (a 90mm equivalent). 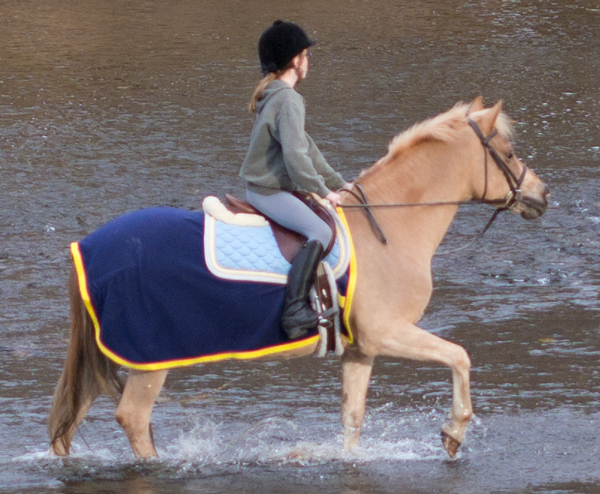 Although the image is not absolutely perfect, I was impressed by the detail on the horse blanket, the horse's muscles, the water falling off the hoof, and the overall clarity of the color. Remember: this was shot from quite a distance. This is a crop from the above photo. Yes, there's a bit of fringe distortion around the yellow, but remember you're looking at an enlargement of over 500%--the equivalent of a 4x6 inch print blown up to 20x 30 inches. Not perfect, but impressive. 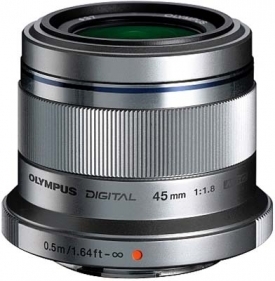 The Olympus 45mm lens for micro four thirds is only about 2 inches wide and high. Instead, I would spend a little more for OIympus’s 45mm 1.8 lens, a 90mm equivalent designed for portraits (a shorter lens distorts facial features), and to pull in landscapes that are a bit far off. It costs $399. I’ve read a lot of test reports about this lens (you should, too, before you buy any lens). This one is typical. The Olympus M.ZUIKO DIGITAL 45mm f/1.8 is a lens that makes sense because it’s small, useful, and excellent. The important center resolution is already on a very good level straight from wide open aperture and only the corners are somewhat softer here. 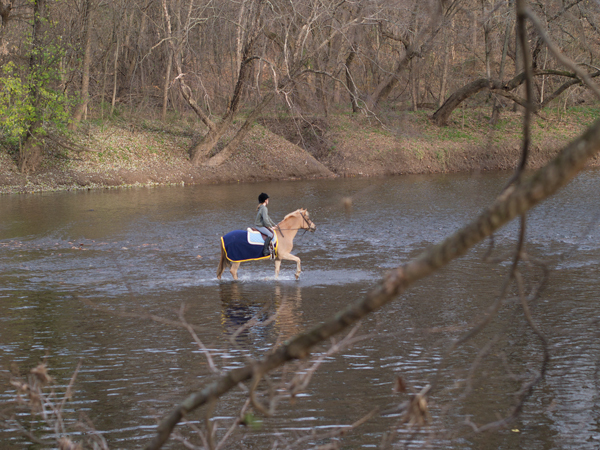 The quality is very high across the image field when stopping down to f/4. Vignetting, lateral chromatic aberrations as well as distortions are all well controlled and not relevant in field conditions. I’ve been using OIympus 17mm f/2.8 wide angle lens quite successfully, and, generally, I find it to be excellent. In doing my research, I’ve found web reviews with grades in the B or B- range. Panasonic’s 20mm f/1.7 may be a better choice but it costs a bit more and it’s closer to a normal lens (50mm lens in 35mm camera lingo) than a wide angle. The Olympus 17mm lens costs $299, and the Panasonic 20mm lens costs $399. Both are “pancake” lenses–less than an inch thick. 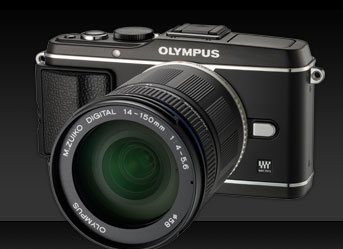 In fact, the Olympus 45mm lens is less than 2 inches thick. Here's an E-P3 with a longer zoom lens--it maxes out at 150mm, or, in 35mm lingo, 300mm (long enough for wildlife, not long enough for baseball). For most people–that is, most people who are serious about photography–these two lenses will serve just about any purpose. You can go wider with Olympus’s 12mm 2.0 lens, but it costs $799. You cannot go deeper with a prime lens; instead, you’ll need either Olympus’s remarkable 75-300 f/4.8-6.7 for $899, and if you do, you’ll be thankful for the PEN system’s built-in image stabilization feature, again discussed later on. Take a moment here: that’s a lens that, in 35mm terms, gets up to 600mm, remarkable reach for a lens that weighs less than a pound and is less than 5 inches long. Here are some sample images. At the risk of repeating myself, I consider speed and weight to be critical factors for my lenses. Speed matters–that is, the largest available aperture matters–because I can shoot in a wider range of lighting situations with a faster lens. I much prefer a 1.8 lens to a 3.5 lens because a 1.8 lens allows me to shoot with HALF as much available light (3.5 divided by 1.8 is, roughly, 2). Weight matters, and so does size. I’m not a professional photographer, but I do like to carry a camera with me. Olympus’s 45mm lens weighs 116 grams, or about 4 ounces, and their 17mm weighs 71 grams, or about 2.5 ounces. For less than 7 ounces, I’m carrying a relatively complete photographic kit, one that offers high quality images, solid and reliable design, and almost no strain on my shoulder or neck. In theory and in practice, this turns out to be a very good idea. As we’ll explore in the next post, the Olympus-Panasonic effort in micro four thirds technology is paralleled in a Sony system called NEX, a Nikon system called Nikon 1, Fuji with its X system, and several others. Each is based upon a particular image sensor design, and that begins our next chapter, which covers not body design (as you might expect) but instead, the 21st century equivalent of photographic film. Stay tuned. « Secrets of Memory – Exposed!